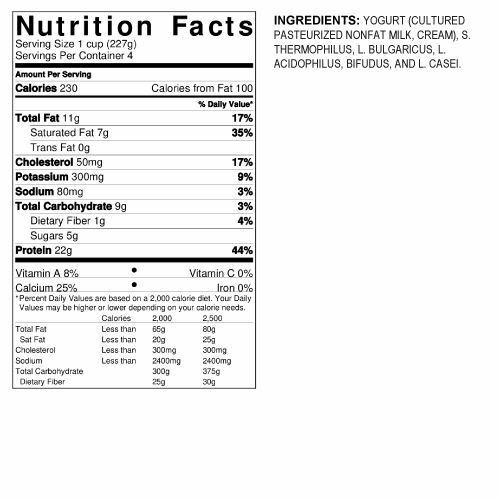 Chobani Plain 5% Greek Yogurt - 32 oz. Thick, creamy 5% plain Greek yogurt made with locally sourced whole milk. Chobani 5% Plain Greek Yogurt starts with fresh whole milk sourced from local dairy farms. 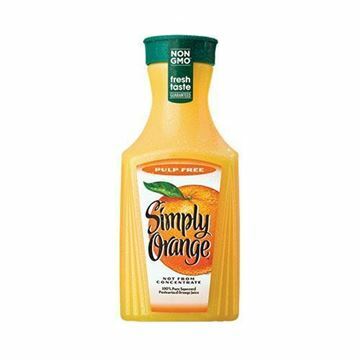 It’s triple-strained, which gives it that thick and creamy consistency we love. There’s a lot you can do with this Greek yogurt: substitute it for sour cream, mix it with fresh fruit for a tasty snack, or use it in baking for a creamy dessert. The options are endless. Erin Baker's Fruit & Nut Granola - 12 oz. Homestyle granola made with whole grain oats, nuts, and fruit. 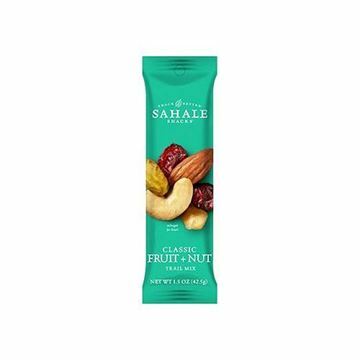 Sahale Snacks Classic Fruit Nut - 1.5 oz. Classic fruit and nut trail mix pre-packaged for life on-the-go. to make it thick then call it Greek yogurt.) I add fresh or frozen blueberries & a good stevia. It's so delicious!! It also has all 4 active cultures.